Biogas and other such biofuels are today starting to become used more and more around the world in just about every conceivable area both domestically and industrially, and as such could be one of the answers to the worlds energy problem as well as reducing global warming. Biogas, which consists mainly of methane (CH4), giving rise to the term “Biomethane”, is produced when household organic waste and agricultural slurries and manures are broken down due to their decomposition by micro-organisms in an enclosed biogas digester. Biogas typically refers to a gas produced by the biological breakdown of organic matter in the absence of oxygen. Biogas originates from decomposed biogenic material making it a type of biofuel. Biogas is primarily used for direct uses such as heating and cooling but this renewable resource can also be used in many different applications that benefit the environment and the economy from heating, to power generation and even upgrading to natural gas quality. We know that biomass is energy derived from solid organic matter other than fossil fuels such as wood, plants and straw, and which can be used as a direct substitute for conventional fossil fuels by burning it (combustion) for both cooking and heating. But biomass energy sources can also be converted into the three main types of biofuel sources, namely solids (pellets), liquids (biodiesel), and gases (biomethane) for use in a whole range of applications. Unlike natural gas derived from fossil fuels, Biogas is a mixture of gases produced by the fermentation process of fresh waste material in anaerobic (without air) conditions making biogas a renewable “natural gas” resource. Biogas is produced by anaerobic digestion or fermentation of biodegradable materials such as biomass, manure or sewage, municipal waste, green waste and energy crops and as such its production is best suited to farms that handle large amounts of animal manures as a liquid, slurry, or semi-solid with little or no solid biomass products added. Biogas is generated using an enclosed tank called a “biogas digester”, via the natural anaerobic decomposition of the organic material. A basic biogas digester consists of a fermentation tank in which the organic material is digested, and a system of pipework to collect and store the biogas produced. Biogas systems can be built on any scale from small and simple for a single household, to large and industrial for a whole municipal areas. Biogas is produced in nature all the time with the distinctive smell from swamps and marsh lands being caused by the release primarily of methane (also called biomethane), marsh gas and other such smelly gases such as ammonia, sulphur dioxide, and carbon dioxide that develops when the vegetation that has settled to the bottoms of wetlands is anaerobically digested by bacteria. Biomethane works in exactly the same way as natural gas drilled from the ground as a fossil fuel, but unlike natural gas, biogas is renewable. Many people think biogas is an ideal form of energy because it turns waste material into a source of power that produces few pollutants. Another type of biogas used is called “wood gas”. Wood gas is created by the gasification of wood, wood chips, or other such carbon-rich biomass plants and crops. This type of biogas comprises mainly of hydrogen, nitrogen, carbon monoxide and small amounts of methane. These gasses can be mixed and burnt with oxygen in the atmosphere to release its energy, thus allowing wood gas to be used as a biofuel for cooking, space heating, and water heating. Because biogas is produced from the bioprocess of anaerobic digestion which converts organic matter into biogas in the absence of oxygen, the biogas produced contains so much biomethane, about 60 to 80 percent, it can be used in a variety of ways to power appliances that would normally run on natural gas. In many countries around the world, biogas in the form of renewable biomethane is now being used as a substitute for fossil fuel based natural gas in pipelines, either to run appliances and/or as a vehicle fuel or as a source of electricity production. Before, these developing countries were heavily dependent on solid biomass fuels such as firewood and dried dung for their energy consumption using and burning them in an unsustainable way which had a severe impact on the worlds forests. The use of this type of fuel source often lead to many problems such as deforestation, health impacts (smoke inhalation) and increasing climate change (greenhouse gases) so in many areas around the world, biogas used as a replacement for these fuels can help solve many of the problems that are associated with burning biomass on open fires. There are many advantages to using “Biogas”, it is cheap to produce and a reliable source of energy with endless uses. It is also a good way to get rid of unwanted liquid waste materials. The energy it produces is powerful and clean, and it does not pollute groundwater supplies or cause air pollution and can be used as a fuel to power electrical generators. As well as being used to to power appliances and vehicles, the biomethane produced can be used to fuel gas turbines to generate electricity. Biogas is also quite safe to use and burn. Additionally, once the anaerobic decomposition has stopped producing biogas, what is left behind is generally a high quality composting material which can then be recycled for use as an excellent soil amendment to help improve the structural and nutritional quality of the soil, which is fundamental to all plant growth. Anaerobic compost also enhances moisture retention, thereby reducing the need for water, another precious resource. However, the disadvantage of biogas is than compared to fossil fuel natural gas it only has about one-half the BTU heating value of natural gas. Also there is not much biogas infrastructure available, such as gas recovery and handling system, piping, meters, gas pump or blower, etc, so the use of biogas is limited. Whatever its source, biogas offers us with a viable renewable energy resource that serves to replace fossil fuel resources on many different levels. Biogas burns similar to so-called “natural gas”, which is actually a fossil fuel and allows us to use a potentially dangerous and environmentally unfriendly waste material (biomethane) as a major biofuel replacing up to 50% of our present natural gas consumption while at the same time addressing our energy and environmental problems in a sustainable manner. For more information about “Biogas Energy” and how it can be used as an alternative to fossil fuel natural gas, or to explore the advantages and disadvantages of biogas on the environment, then Click Here and order your copy from Amazon today and learn more about biogas and the various biofuel energy technologies that can be made from waste and renewable biomass resources. 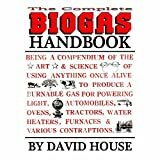 You say that the disadvantage of biogas is than compared to fossil fuel natural gas it only has about one-half the BTU heating value of natural gas. That is certainly true of the raw biogas which has about 20% of carbon dioxide. When biogas is “upgraded” (purified to biomethane by removal of all but the methane) it is not far short of natural gas. In the UK when biomethane is injected into the natural gas grid LPG is usually added to up the calorific value to that of natural gas. Hence, the slight disadvantage of lower calorific value can be got-around without too much difficulty – and indeed that is what is being done!